Some clubs offer members the option to upload their own photo files to their own profiles, instead of having a photo taken with a webcam at the front desk of the pool. If you don’t see the camera icon pointed to in the image below, that means your club does not allow members to upload their own photos and your photo will be taken at front desk check in. When uploading a photo, please keep in mind that the best ID photos are close-up head shots of a single person (rather than a family photo, for example). The member will need to log into their account. The account page shows each member included in the account. 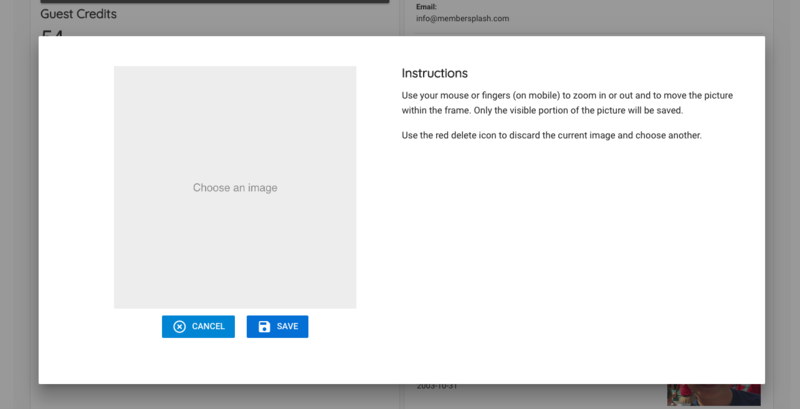 Click on the camera icon button next to the name of the person whose photo will be uploaded. Click the text in the grey box on the left to locate the photo file from where it is saved on your computer. Once the photo is in place follow the instructions on the right for zooming/cropping as needed. Once the picture is uploaded click the blue Save button in order for the changes to be saved. 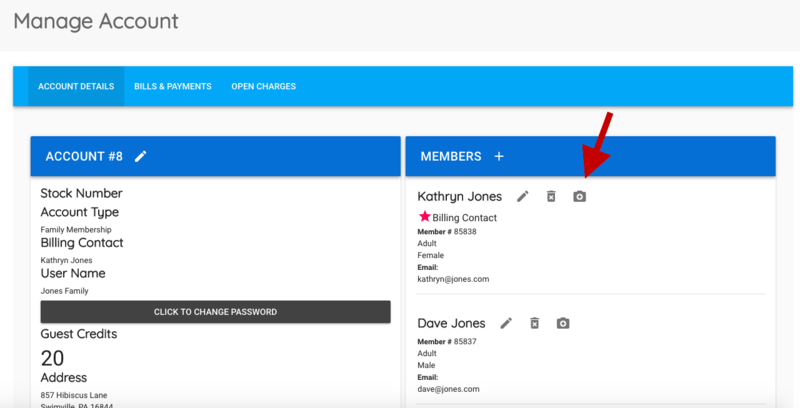 Wait just a minute and you will be taken back to the Manage Account screen with the new photo displaying on the right side next to the selected member.